Hey, all! I thought I would try something new today and show my newest thrift books finds by taking actual photographs of them. Something tells me it would make the blog feel more personal instead of stock photos. 🙂 You’re obviously not looking at a professional photographer, but I thought it would be fun to change things around a little bit this way. My newest books are all from the same thrift store, but from different trips. I was really excited to find a complete trilogy (“The Knights Chronicles”) by Angela Hunt on the shelf! Please forgive the terrible covers. They look rather like cheap paperback romances, but if you’ve read Angela Hunt you’ll know that Christian authoress is nothing like. I also got to poking around the art book section today and found a “Sister Wendy Story of Painting” coffee table reference book. I thought it would be fun to mull over during breakfast. I’ve been enjoying the series, Raiders of the Lost Art on Netflix and thought adding this volume to my library would further my knowledge in the area where I’m lacking. I’m thinking I will be having more frequent book hauls in the future as I plan to focus more energy on book buying. What have you found in your recent used book hauls that you’re excited about sharing? I’ve listened to a fair number of audio dramas in my time. One of my favorite memories from my growing up years was laying on the living room floor in the evenings after supper, with my mom and my sister, with a pillow under my head and a blanket over me, eyes closed and listening to audio dramas. We listened to the Focus on the Family radio theatre adventures, old time radio programs, Adventures in Odyssey, and anything else good we could get our hands on. A friend of mine sent me a link to some relatively new dramas in the world of audio adventures, which she was considering purchasing for our church library. Heirloom Audio. Hmm, I’d never heard of it before. (Probably because I’ve been out of the homeschool arena for some time now.) But as soon as I watched the trailer to the first drama based on G. A. Henty’s historical novel, “In Freedom’s Cause”, I knew I was completely hooked! No, I am not a paid spokesperson for Family Audio Adventures. But I know good quality when I hear it. The acting, the diction, the energy, enthusiasm, excitement, passion, and talent really shine and I can’t wait to get my ears hooked up to one of their complete adventures and escape. This isn’t podunk acting as far I can tell. Trust me, I’ve heard a few in the Christian audio world where I just wanted to stick a finger down my throat rather than swallow the lemon and honey. Well-known actors are brought in for these productions who know what they’re doing in creating a good story. Here are a few that caught my eye: Skandar Keynes, Sean Astin, Billy Boyd, Joanne Froggatt, John Rhys-Davies, Kirk Cameron, and Audie Award winner Katherine Kellgren. I am unsure at this point whether Heirloom Audio Productions plan on only dramatizing the Henty adventure novels, or if they will branch out, but they have already won numerous awards, including being nominated for an Audio Award for “With Lee in Virginia.” I was also thrilled to find out that John Campbell composed the original soundtracks for each production. You can watch all four trailers to their first few productions below. Apparently, a fifth adventure (Beric the Briton) is expected out in the near future, along with a few others. Plot Summary: A son and a daughter are born to Hurin during a tumultuous time in the ancient history of Middle-Earth, when the evil Morgoth persecuted the land. The son, Turin, grows up to be a great warrior among Elves and Men. The daughter, Nienor, finds shelter in the forest of Brethil. But both are destined for lives of woe while their father remains a prisoner of the enemy in the north. 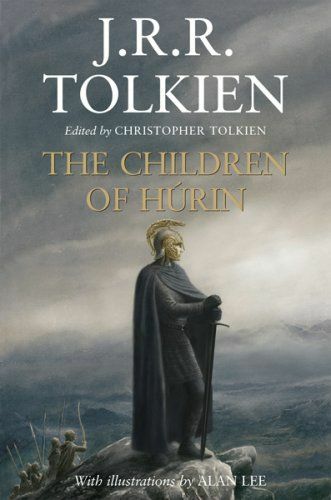 “The Children of Hurin” elaborates in fuller detail what is only summarized in part of the history of “The Silmarillion.” Published after Tolkien’s death by his son, Christopher. I remember when The Children of Hurin came out a few years ago. It intrigued me partly because of the fact it was published so long after Tolkien’s death. And then I heard somewhere that if one were to read all the books about the history of Middle-Earth in chronological order, one would start with this. I’m not sure if that is correct, and here is a website that helps one to be able to truly read Tolkien in chronological order, but I am supposing that TCoH has got to be one of the first, as it takes place thousands of years before the Lord of the Rings. I vaguely remember reading about the story of Hurin in summaraized form in the Silmarillion, but TCoH was meant to elaborate on it, and we get to enjoy it in full here. This is rare when it comes to the writings of Tolkien, as unfortunately he was unable to do this for many of his wonderful story ideas (hence we have the books Unfinished Tales and the Book of Lost Tales). I think I enjoyed this book more than The Silmarillion for the simple fact that it does elaborate. Tolkien originally wrote it to be a lay, but eventually gave that up since it began to be too long before he was halfway finished with it. It comes with a convenient pull-out map in the back of the book, a dictionary of names and places, notes on pronunciation, genealogy charts, commentary by Christopher Tolkien, and wonderful illustrations by Alan Lee. For all that, I still would often get lost in all the names and had to go back and study and restudy to keep them all straight. I decided not to read the Introduction by Christopher Tolkien until after I’d read the book because I feared it may give too much of the story away. It turns out I was partially right. But it would have helped explain about some of the history of Middle Earth that I had forgotten from The Sil, and would have helped set the stage for my understanding of the TCoH at the beginning. As like other Middle-Earth stories by Tokien, this will not read like your typical novel. It is created to sound like a history, an epic legend. It reads sort of like the Bible. “And it came to pass in those days…” This makes for wonderful thrills down the spine, but a bit hard to read aloud for long periods of time and keep up the excitement. This story is a dark, grim tragedy that gets bleaker and greyer the more you read along. At first I was reading this as pure entertainment, enjoying the mythology, the wonderful words and names, etc. But then I realized that there is a deeper story here. Duh. It’s Tolkien! Should that really have surprised me? We start at the beginning with the tale of Hurin’s capture by Morgoth and a legendary debate between the two. Because Hurin won’t comply in giving the enemy what he wants, Morgoth threatens to curse his children. Most parents would give anything to protect their children. But still our hero won’t give in. Hurin knows that even if he spills the secret of the whereabouts of the hidden city of Gondolin, he most definitely would lose all. Evil villains don’t keep their word. That’s why they’re evil. It is easy to forget this line when you proceed to read of what befalls Turin and Nienor. Over and over again, we are struck by the miserable events that plague these characters’ lives. It seems bad luck is destined to follow them all the days of their lives. Others stand back at arm’s length to distance themselves from this curse that seems to hang about them. For even though they are both good-hearted people and Turin is a hero in his own right, calamity seems to be their middle name. Times were hard for all peoples living in such a land. What makes Turin and Nienor any different? Was it the curse of Morgoth? Or could it be that Turin just never listens to wise counsel? 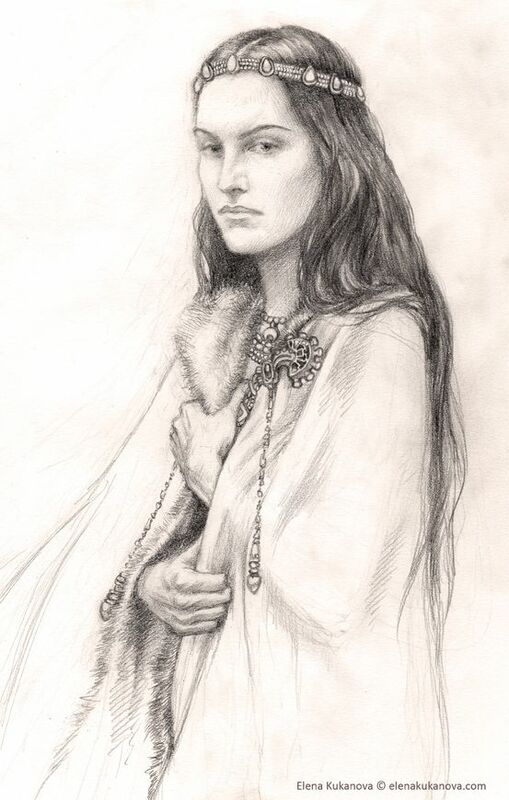 It is true he grew up without the influence of his father Hurin, but he had the mentorship of wise men such as Sador, King Thingol, and Beleg. Despite this, Turin shows a sort of arrogance in repeatedly refusing to listen to their advice. Thingol advises him as a teenager to wait until he is older to fight the Orcs, but Turin won’t listen. Perhaps if he had stayed longer he may have learned wisdom along with his sword skills. 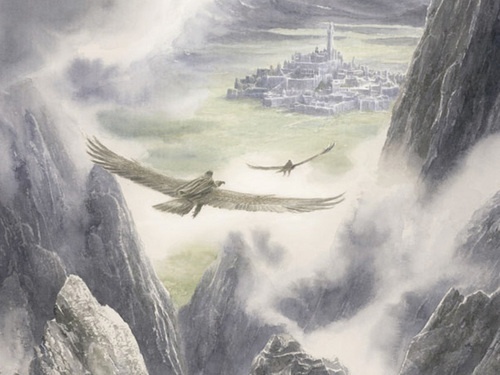 Mablung tells him to wait for Thingol’s judgment, but Turin runs instead. Beleg counsels Turin to return to a place he’ll be safe, but Turin is convinced his way is best; as a result a friend is killed. Gwindor explains his reasons for withdrawing from fighting, but Turin insists on his plans; as a result, a whole elvish city is decimated. And when a dragon attacks peaceful woodfolk, Turin usurps the authority of their leader to lead the charge. He never seems to learn from his mistakes. But it isn’t just Turin who exhibits this trait. His sister Nienor shows that she is just as insensitive to others’ advice. She won’t stay in Doriath as her mother cautions; as a result, she ends up in a tragic accident. And she decides to rush into marriage when others around her are uneasy about it; therefore she marries someone she knows nothing about and is later horrified when she learns the truth. Let’s look a little further… I believe Turin and Nienor learn their reckless behavior from the model of their mother, Morwen. Though a courageous woman, she doesn’t pay heed to wisdom, either. Hurin tells her she must not wait to move their family to safety if he doesn’t return. And what does she do? Stall around until it is almost too late to send Turin to Doriath, and for years refuses to come herself or send her daughter to safety as well. All because she is too proud to ask for help! Eventually they do come to the safety of the elf kingdom, but not until Turin has already left. The advice of the elves is to stay where it is safe, but Morwen won’t listen and as a result puts herself and others in grave danger. Of course there are terrible consequences to all of these characters’ decisions. Turin was able to accomplish many good deeds, but his reckless choices only result in many numerous innocents’ lives. There was one thing I didn’t realize until I came to the end and finished reading: Hurin, as part of his torment, was enabled by Morgoth to watch all of the things his family was going through while he was held captive. 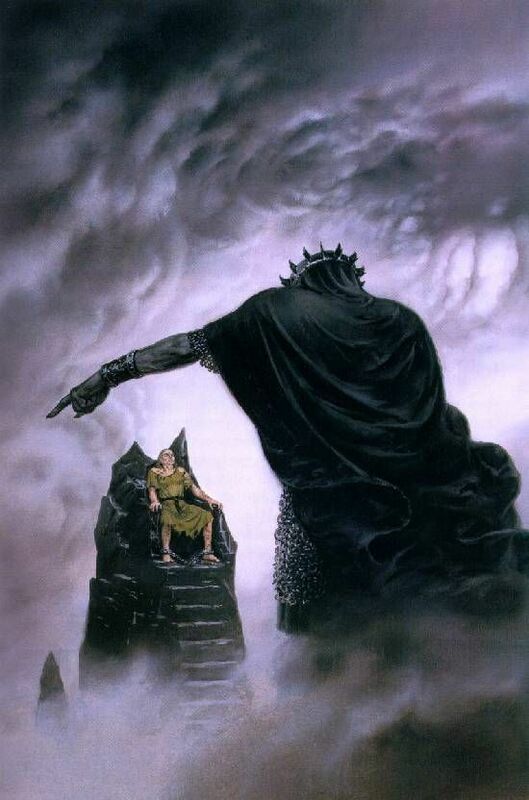 At any time he could have given in out of sheer grief and given Morgoth the information he wanted. But he held steadfast to the end. What an amazing hero! A word must be said here about the character of Brandir. I’m not quite sure what to make of him. I pitied him for the most part, in that I’m not sure how I would have fared any better in governing my people if I was lame in the face of a dragon attack. But then I think that perhaps a true leader would have been able to find a way to inspire respect for authority in spite of it. FDR led a nation through one of the worst wars in history from a wheelchair. Even though there were some circumstances out of his control (his pure motives are often misunderstood), I think Brandir basically gave up out of self-pity. He was meant to be a doctor, not a king. I respected him for his treatment of Nienor. His counsel for her to wait to marry the man she loved was not so much out of his jealousy for her but his intuition that something was not right. He patiently looks after her when she runs to the place of battle and encounters great grief. I think he showed his true love for her even when he couldn’t have the one he most desired. I enjoyed this book because it got my cognitive wheels turning. Don’t read this if you are looking for a happy ending. I’m not giving anything away by saying that because the titles of the chapters will do that for you, and if you’ve read the Silmarillion, you probably knew this anyway. *There is a wonderful audiobook version read by Christopher Lee if you’re interested in the hearing it instead of reading it. Do you love the story of King Arthur? Then you make enjoy listening to a new audio drama on BBC Radio 4 based on T. H. White’s classic book, “The Once and Future King.” I haven’t listened to it in it’s entirety, but from the clips it sounds like it’s one of the better audio dramas I’ve heard from BBC. You can listen to it by clicking here. Does The Lord of the Rings Date Me? Am I the only one who feels like the original Lord of the Rings trilogy movies date me? I was only a young teenager when these movies first came out, so I just got to thinking recently that there are quite a few younger folks than me (I still consider myself as ‘young’!) that don’t remember them originally. They don’t remember life before them. I remember seeing The Fellowship of the Ring in the theater for the first time. I was totally unfamiliar with the story and had no clue what it was about. I went with my younger cousins to see it. I remember it all on the big screen– unbelievable cinematography, overwhelming special effects, blaring sound, battle scenes I couldn’t stand to watch. I couldn’t follow the story, since we had arrived late and missed out on the first 15 min., and I kept confusing Aragorn with Boromir. There were the horrifying RingWraiths, the fiery Balrog (who I was convinced was the Devil incarnate), and an elf queen that morphed into something truly terrifying. 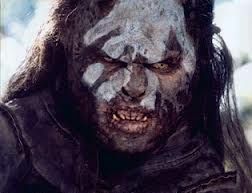 But the thing that absolutely scared the tar out of me were the creatures known as Orcs. By the end of the movie, I was completely wide eyed and my hair was blown back. To top it all off, I had nightmares of a tentacled sea creature coming after me. I told my aunt that I didn’t see how any author could write such things and be a Christian! Those were my first impressions of Middle Earth. Needless to say I get quite involved in a story! It also speaks to how sheltered I’d been when it comes to movies. My friends loved the movie and I eventually went on to read the books which enabled me to better understand everything. Watching the movies again at home on DVD wasn’t quite as intense as the movie theater, and each time we rewatched them the thrill factor dissipated. But that first time of seeing trolls and balrogs was unlike anything I’d ever experienced. My younger cousins (at the ages of 9 and 10) hadn’t been phased one bit by any of it, but then they’d grown up in a household more accustomed to movies of that nature. Sometimes I’m amazed at what younger and younger kids are acclimated to when it comes to entertainment as time goes on. I’m not necessarily saying that LOR is wrong for a certain age, as that’s up to each family. It’s just an observation and it’s interesting comparing my own experience to them. I was having a conversation a while back with a young highschooler who said she refused to watch LOR “because of all the violent war,” yet her favorite movie genre was horror films. I still can’t figure that one out. I think Peter Jackson’s movies forever changed movie making. They’re broader in scope, grander in detail. Even so, it’s funny to sometimes rewatch those films that are now 10 years old and see ways that they are technically outdated. I wondered then and I wonder now what the younger generation will say 15-20 years from now when they see it. I think the movies will always be classics, but I don’t think people will view them with complete awe like we did in the movie theater. Like Star Wars. We still love them, but the special effects aren’t that thrilling in this day and age. They were even remastered on the later DVD releases. During the three year time the films came out, we lived in a Middle Earthian culture. All of us girls wanted to wear our hair long and romantic. My friend, who was quite the seamstress, designed her own LOR-inspired long, flowing dresses and wore them to church, and my friends’ younger brothers would practice their best creepy imitate of “Gol-lum!” And of course, we girls had multiple crushes on all the heroes. 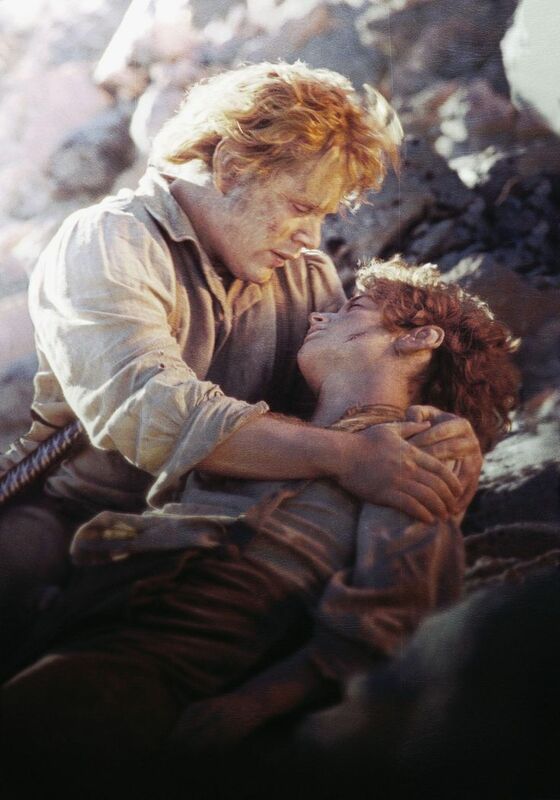 Tolkien wrote such a classic epic that will endure for a very long time because it is so interpretive and we can identify with many of the characters. LOR meant more to me later on when I watched the trilogy during depression. My grandpa hadn’t been impressed with the movies when he first saw them, either, but later he found some solace in them after Grandma died. There’s something about the story that speaks to us deep down inside, inspiring us to keep going when things get bleak. It is well-known that J. R. R. Tolkien did not intend for his works to be allegories. But LOR came out at a time when America began it’s War on Terror. 9/11 had just taken place several months before. I think the movies were there at a time when the world needed stories like that. It was hard not to find our own interpretative symbolism for current events in them. They inspired us and gave us hope to fight for the right, even when there were those who claimed that it was too hard, not worth it, unnecessary. That we should turn a blind eye to evil and compromise with our enemies. I’m glad that The Hobbit is now available for fans who missed out on the original LOR excitement 10 years ago. Sometimes certain classic movies will become more than just entertainment. They become memories.